Villa Puro Blanco is a stunning two-level villa that has 5-bedroom villa. 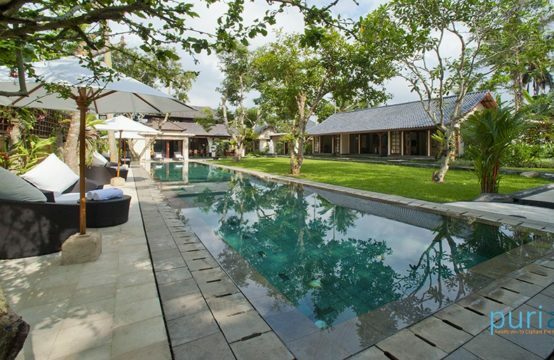 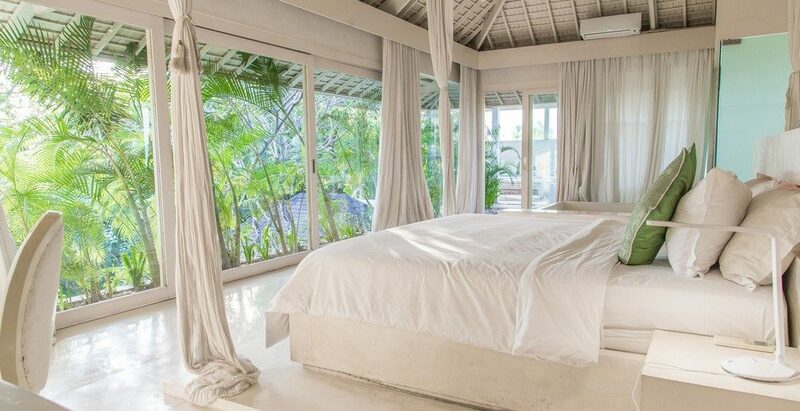 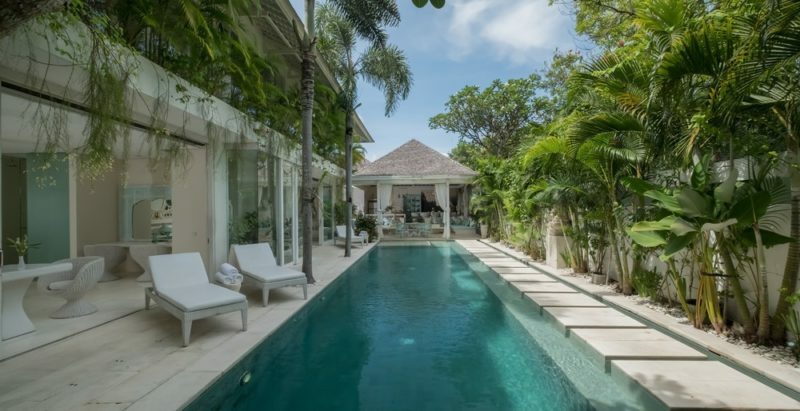 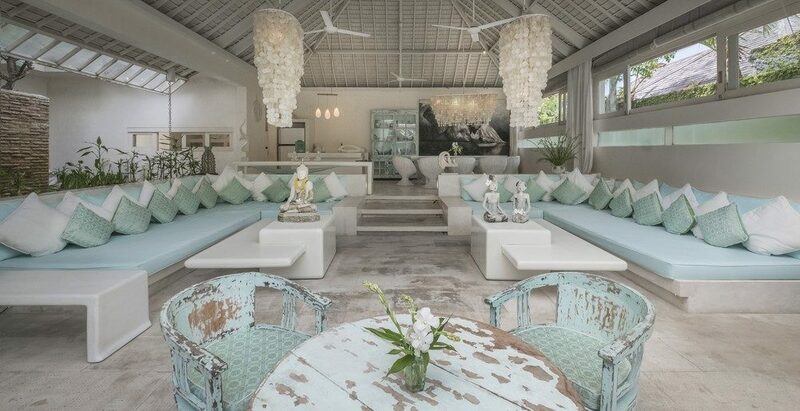 The Villa located in Canggu, Bali. 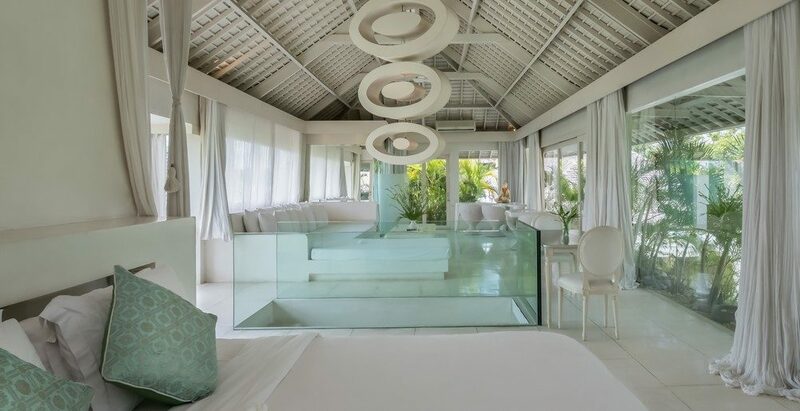 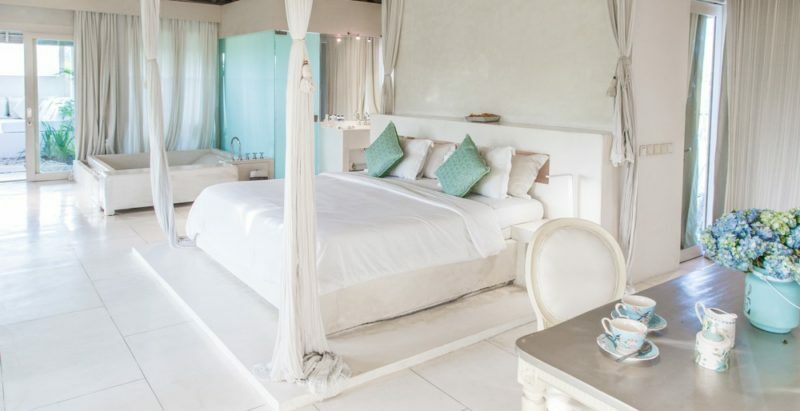 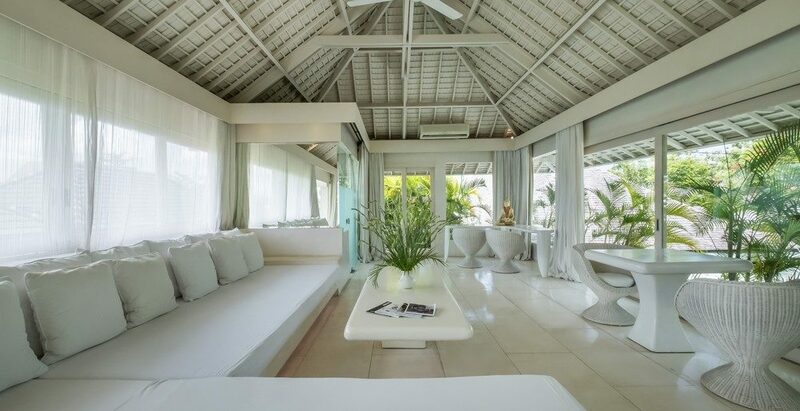 As the name suggests, the villa flaunts an all-white theme all around the property, which reflects luxurious simplicity. 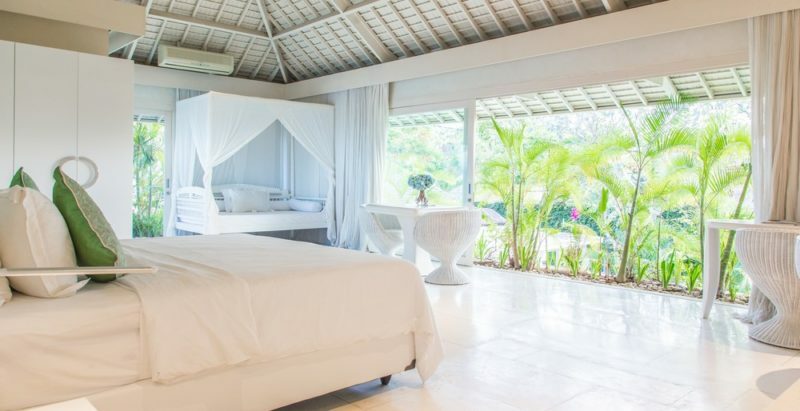 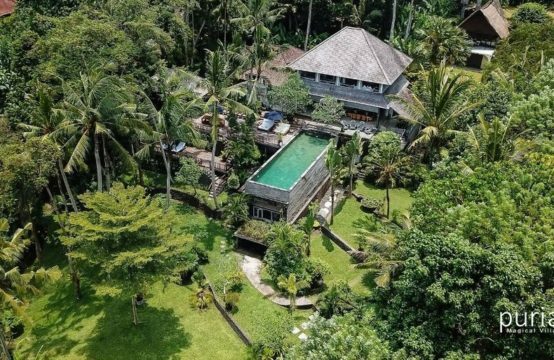 This stunning villa boasts spacious and stylish bedrooms with en-suite outdoor showers, a large private pool, and paddy field views. 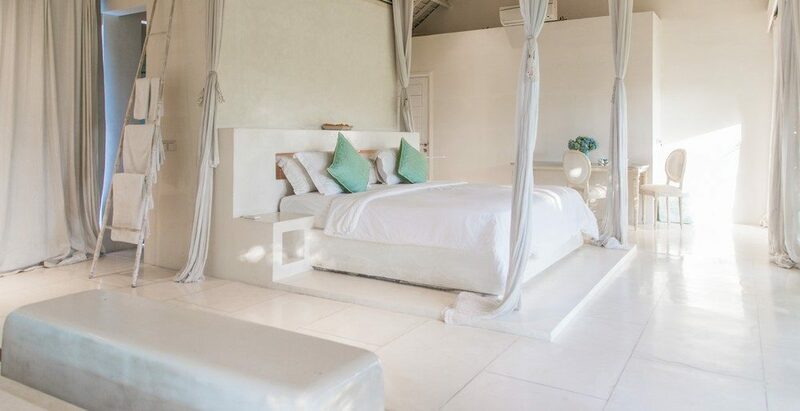 Villa Puro Blanco sure is perfect for jet setters looking for the right blend of comfort, convenience, and style. 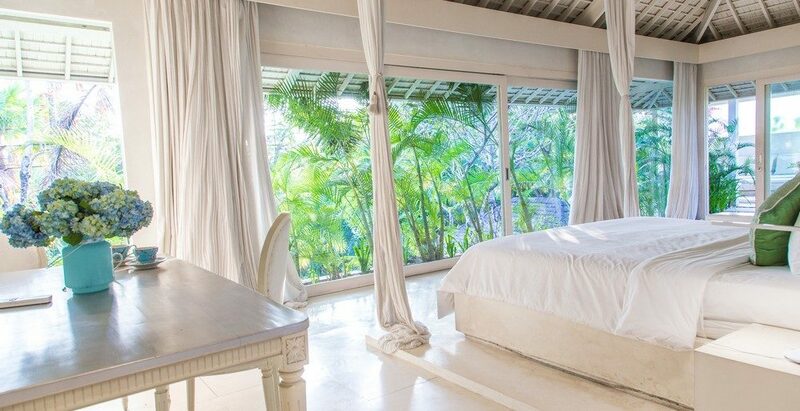 The whitewashed serenity, of course, extends to the chic and roomy 5 bedrooms, which are basically our favourite spaces at Villa Puro Blanco. The three bedrooms on the ground level feature outdoor showers, while the two bedrooms on the upper level have indoor showers with amazing views of the rice paddies. Villa Puro Blanco is staffed with two housekeepers, a gardener, and security. 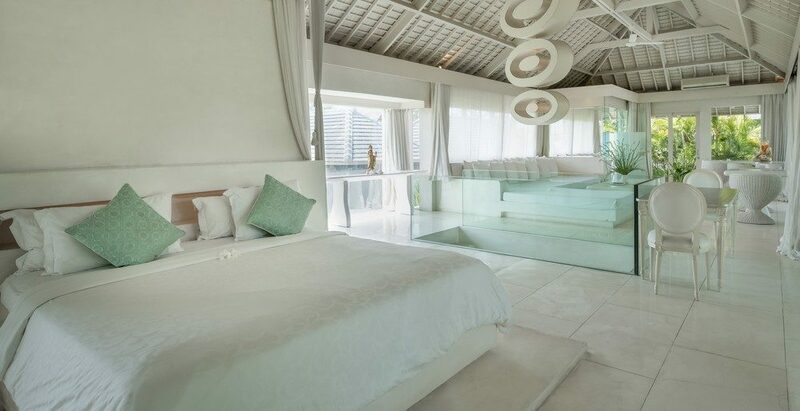 The staff guarantees you an amazing and relaxing time for the whole duration of your trip. 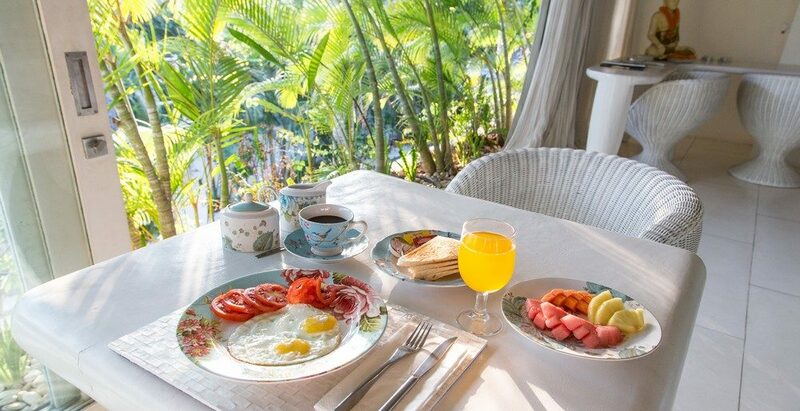 A private chef who can prepare meals is available upon request at an additional cost. 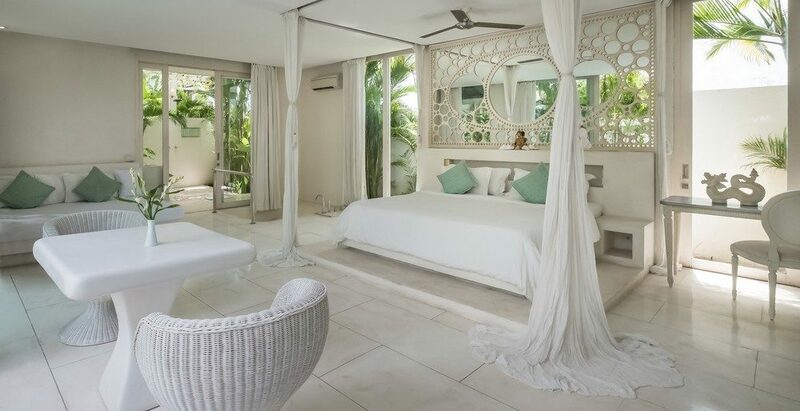 Expect to be relaxed and worry-free during your stay at Villa Puro Blanco. 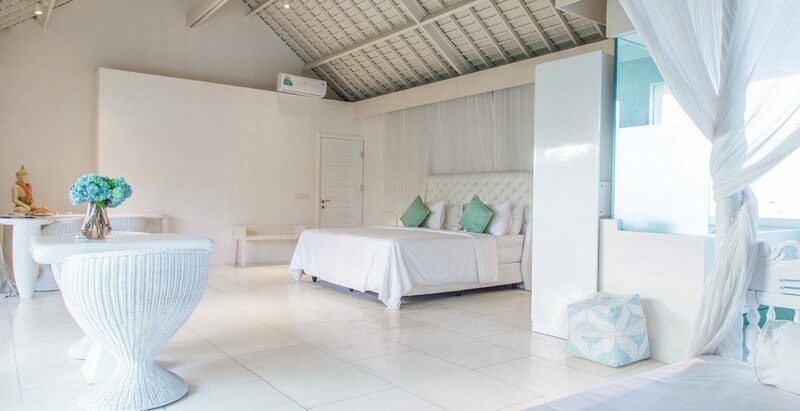 All rooms are equipped with air conditioning and fans. 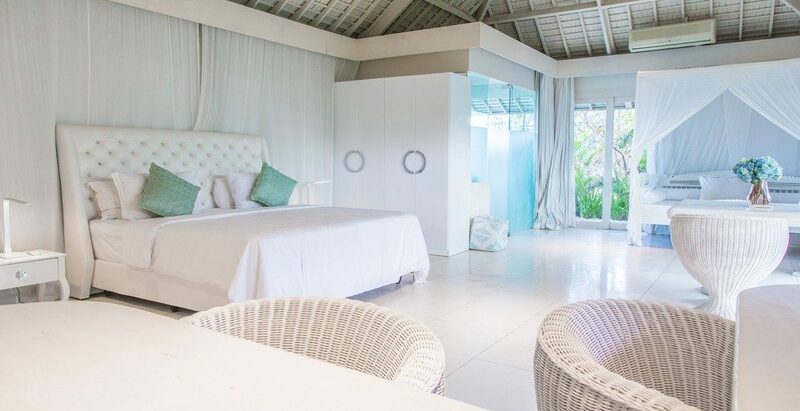 For the peace of mind of guests travelling with children & infants, mosquito nets are available, and a pool fence may be requested at an additional cost.